In a recent survey of participants at a local clinic, it became very clear that horse people are moving into distinct groups, those that do it the “old way” and those that do it the “new way”. This survey prompted great discussion on how people interact with horses and that there is a movement toward a different mindset. But in the end the discussion raised more questions than it answered. Those who have been in the horse for a long time world were once taught to dominate or be dominated. Not in an abusive way but in a way that promoted you as the leader and you have to show the horse you are the leader. Many were taught that was acceptable to pop the shank on the lead rope to get the horses attention or to back them up until they “get the point”. But some horse professionals began took a hard look and gave us alternatives in a movement towards a more natural or partnered horsemanship that started way back when. Many of us grew up in the shadows of great trainers who gained popularity showing us a gentler way to treat a horse like Parelli and the natural horsemanship methods or Monty Roberts, Clint Anderson, Chris Irwin and so many others trying to show us alternative methods for training and managing horses. But old habits can be hard to break. It takes more than looking at videos or watching demos. It takes some really deep soul searching and questioning to decide where on the fence you sit for different ethical issues. This is also not something that you can force people to examine until they are ready and open otherwise resistance is the result. 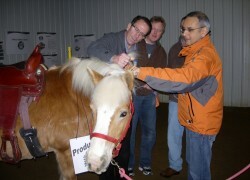 To move forward in the horse industry we need to shift the way that you look at the horse first. 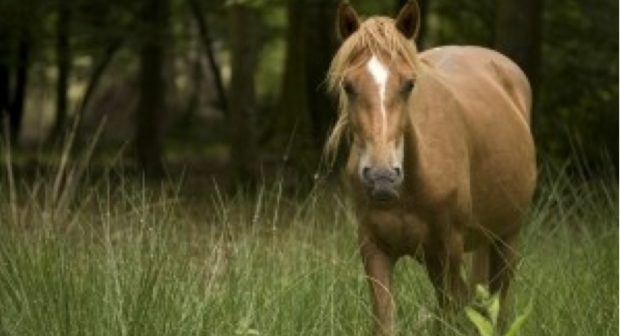 Is the horse livestock here to be a beast of burden and serve our purposes? Is the horse a pet to be loved and cared for? Is the horse a “tool” used to make a better life for people? Does a horse have human emotions like grief, guilt, pleasure, joy? Do they experience stress? Am I transferring my own ambitions and goals and horse is merely the vehicle? Do they possess a quality or energetic “power” that gives them perceptions that humans don’t’ have or can’t understand? The one thing that horse people have are opinions but who’s right? Is there a right answer? There is also this concept of choice. Horses have the power to cause us injury, fatally in some cases. In the wild they fight off large predators much more fierce than a human. Do horses depend upon humans for survival and accept our conditioning in return? Does the horse make a choice to submit or are they simply broken down? It is difficult not to suspend personal habits and conditioning and really separate what is in a horse’s nature versus what owners expect from them. Is there some sort of choice? The next question asks, is about training? Does a trainer have to have a relationship with their horse? Is there an element of training if there is to be a real relationship? Can there be an equal relationship between a horse and a human when our social systems diametrically opposed; ie horses have a hierarchical pecking order and humans believe in equal partnerships? For trainers who use only natural horsemanship methods, do they arrive at the same place when horse and rider create a relationship or is an entirely different end than say someone who uses tradition work and repetitive drills to train? Is there a difference between horses that are trained for show and those that are a back yard “funimal”? The field of equine assisted activities there are more and more people coming in without experience or knowledge about horses but have a heart for helping others and willingness to learn. Whose responsibility, if anyone’s, is it to make sure people are properly trained? 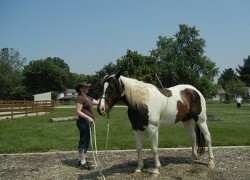 Organizations like Path Intl, Equine Assisted Growth and Learning or EAGALA, Equine Guided Education, CHA, Epona and others train people to do the work of human horse interaction but the person coming into the industry has to choose where to get there training and may choose not to get training. Do those people pose a risk for the rest of the industry if they mis-treat horses or someone is injured? Can the industry come to a consensus on the correct way to do things when we haven’t formulated a consistent language to describe the work? In a well-read article by Chris Irwin call EAP’d Off, questions were raised about what kind of stress the work of therapeutic riding and equine facilitated mental health has on the horse. This article created a great buzz about putting horses in a situation where they are asked to interact with people who are unbalanced or incongruent and how this affects the horse. If we subscribe the ability to read and react to people energetically to horses then are we causing more stress than good by asking them to interact with people like that? Or are we asking too much when they have to have a leader in front, a rider on their back who is unsteady and a person on each side and ask them to listen to a leader, rider and instructor at the same time? Our expectation is that they are calm and quiet and no reactive. There are horses that do these jobs well and seem to enjoy it but there are others that exhibit behaviors of burn out after only a short period. What are we doing that causes the burn out and do we manage it? Do we specially train horses for the work or desensitize them to be able to deal with riders and clients? How we move forward as an industry is an ever evolving question and one that will not get answered any time soon and we may never come to an agreement on them. But the point is that we are having the conversation and that the questions are being asked. Discussions are happening on yahoo list serves, at conferences, the PATH Community Connections site and between professionals or during casual conversation. Mindsets are shifting slowly. And those who are questioning and searching for understanding, are they in danger of going too far and romanticizing the relationship between horses and humans? Is there too much inflicting strong opinions and not enough listening and considering another persons point of view? There is shifting occurring in more than just the horse world. The state of our society is forcing people to look at long held beliefs about economics, education, politics, the environment and global connectedness. There is nothing comfortable about it. It’s a mucky sticky place to be and there are no right answers. Surely you have seen the cute picture quotes that are becoming popular on Facebook. Recently one was posted that sums up so poignantly how we move forward: “Your work is not to drag the world kicking and screaming into a new awareness. Your job is to simply do your work sacredly, secretly, and silently which will emanate Light wherever you are and those with “eyes to see and ears to hear”, will respond.” Keep asking the tough questions and having the difficult discussions without getting caught up in trying to make someone see your point of view that the learning gets lost. As hard as it can be, that’s where the good stuff happens.